Former editor, who has slapped a case on journalist Priya Ramani, to record statement in court on October 31. 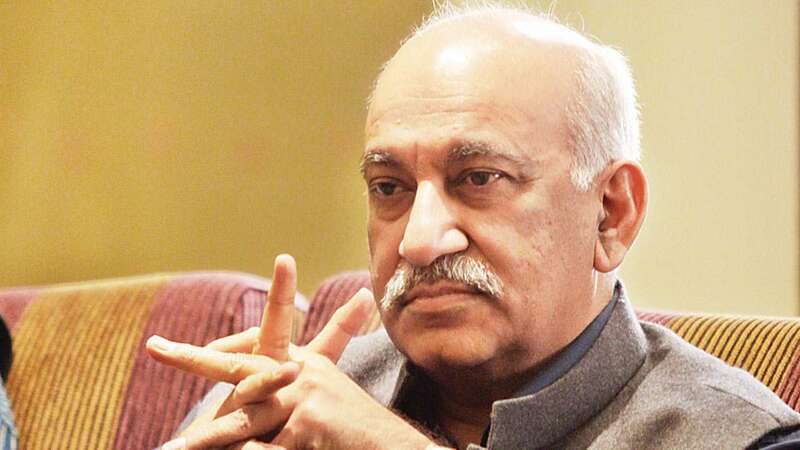 Former Editor MJ Akbar, who is facing multiple allegations of sexual misconduct, will record his statement on October 31 with regard to the criminal defamation case that he has filed against journalist Priya Ramani, even as the Editors' Guild of India asked him show "grace" and drop the case. "The Court, taking cognizance of the complaint has set the next date for pre-summoning and examining of the complainant and his witnesses on October 31. Akbar is required to be present personally on the next date of hearing," according to legal news portal Bar & Bench. The defamation complaint, filed under sections 499 and 500 of the Indian Penal Code, was heard by the additional chief metropolitan magistrate Samar Vishal. Senior counsel Geeta Luthra and Advocate Sandeep Kapur appeared for Akbar and made submissions regarding cause of actions as well to establish the Court’s jurisdiction, Bar & Bench said. Akbar has accused Ramani, the first to have called him out, of "intentionally putting forward malicious, fabricated and salacious" allegations to harm his reputation. Following a volley of allegations, the Editor-turned-politician, who has changed parties from the Congress to the BJP, said he had resigned as Minister of State for External Affairs on Wednesday to fight the case in his "personal capacity". Meanwhile, the Editor's Guild of India, in a statement, backed the 'courage' shown by the women journalists and saluted their fight for bringing gender equality in newsrooms. The Guild, consisting of top editors in the country, in a statement, also offered support for legal advice or assistance to all the women journalists who have complained against Akbar, in case he files cases against them too. Calling for dropping of the case against Ramani, the Guild said: "We hope that Mr Akbar will also display the grace to withdraw the criminal defamation case he has filed against one of the complainants. While Mr Akbar is entitled to all legal instruments available to a citizen to seek vindication, it would be paradoxical for a veteran editor to employ the instrument of criminal defamation. More so for Mr Akbar, who happens to be a former president of the Guild."